He was an A rank mage and he had the job to do so he would go and he would then head to the path it was a long walk but he would arrive there as he would walk and walk and walk but then he would be in the forest and then he would go the cell and then he would go the building and he would rest and sleep in the bed which would be the taco band he would go to the dreams and then he would head to the path and then be done with that and then he would go the path of the town again and head out because it was what he did he would go to the path and head out so he would go the the town of hargeon and the he would to the path and then he would go tho path and would walk as he would walk and walk as he would then go the the armos Grimoire heart was his guild and it was read he had to go there and then he would go and head to the town of Hargeon so he could do requests and then he would finish that and continue forward and then he would finally arrive and then he would walk the path through the other towns because from the Cell games he had a long walk because walking he would put his right foot in and right foot out and shake it all about and do the hokey pokey and then he would head towards the area and finally be done with that and then he would be done and then he we go to another he would go the path of the town again and head out because it was what he did he would go to the path and head out so he would go the the town of hargeon and the he would to the path and then he would go tho path and would walk as he would walk and walk as he would then go the the armos Grimoire heart was his guild and it was read he had to go there and then he would go and head to the town of Hargeon so he could do requests and then he would finish that and continue forward and then he would finally arrive and then he would walk the path through the other towns because from the Cell games he had a long walk because walking he would put his right foot out and then he would finally arrive. Caius would then arrive at the gates of Hargeon Town. It was his guilds calling to head there and he would heed it. He had work to do that was actually meaningful. He would help the guild and get experience from this. 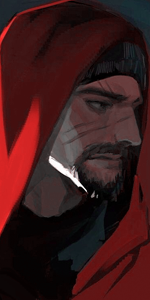 He smirked as head walked through the gates with a renewed cause to help him out.